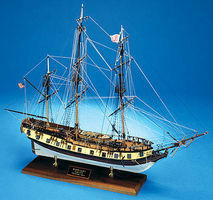 Shop online for 29 model-shipways wooden model ships at discounts up to 28%. 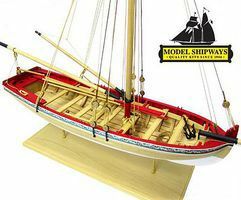 This is the 1/48 Scale 18th Century Longboat Wooden Model Ship Kit by Model Shipways. 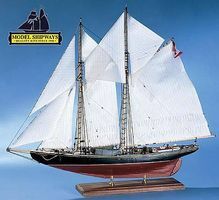 This is the 1/64 Scale Bluenose I Wooden Model Ship Kit by Model Shipways. This is the 1/64 Scale Rattlesnake US Privateer Wooden Model Ship Kit by Model Shipways. This is the 1/24 Scale USN Picket Boat #1 1864 Wooden Model Ship Kit by Model Shipways. 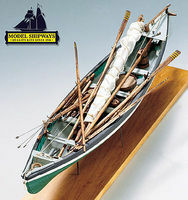 This is the 1/16 Scale New Bedord Whaleboat 1850 -1870 Wooden Model Ship Kit by Model Shipways. 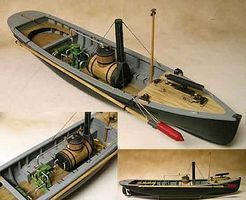 This is the 1/96 Scale Harriet Lane Gunboat Wooden Model Ship Kit by Model Shipways. This is the 1/24 Scale Glad Tidings Pinky Schooner Wooden Model Ship Kit by Model Shipways. This is the 1/96 Scale Phanton NYC Pilot Wooden Model Ship Kit by Model Shipways. This is the 1/24 Scale Gunboat Philadelphia 1776 Wooden Model Ship Kit by Model Shipways. This is the 1/32 Scale Willie Bennett Skipjack Wooden Model Ship Kit by Model Shipways. This is the 1/32 Scale Emma C. Berry Lobster Smack Model Ship Kit by Model Shipways. This is the 1/64 Scale Pride of Baltimore II Wooden Model Ship Kit by Model Shipways. 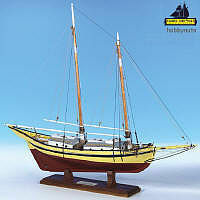 This is the 1/64 Scale Sultana Colonial Schooner Wooden Model Ship Kit by Model Shipways. 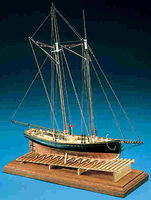 This is the 1/24 Scale 21' English Pinnace 1750-1760 Wooden Model Ship Kit by Model Shipways. 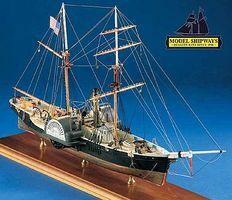 This is the 1/16 Scale HMS Bounty Launch Wooden Model Ship Kit by Model Shipways.